The SLP team has over 15 years of experience in the field of sleep disorders. The company's products offer the highest quality and performance while addressing evolving technological requirements. 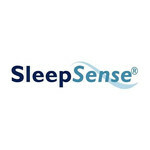 Among the SleepSense diagnostic sensor products are respiration effort, airflow, snoring, body position, pulse oximetry and movement. Sleep Sense Piezo Crystal Effort Sensor KIT- Velcro Tab, Safety DIN Con.